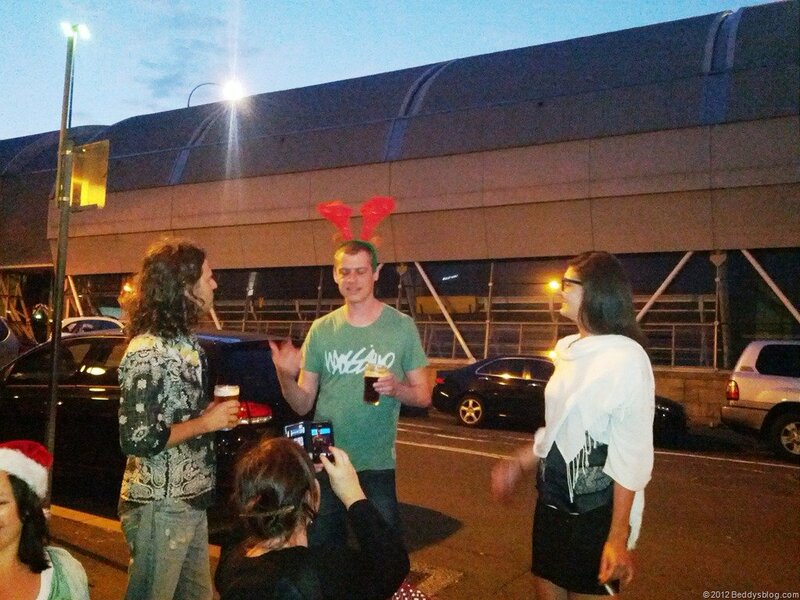 A happy Christmas from Australia! 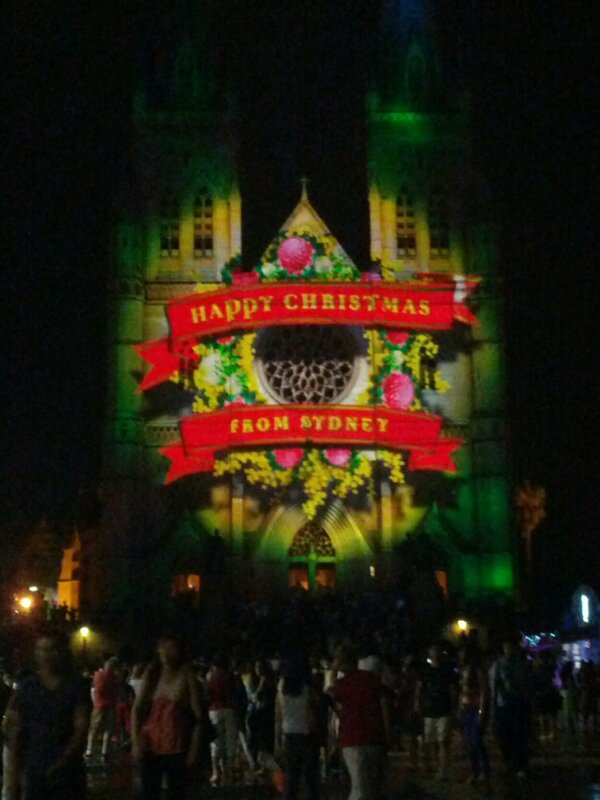 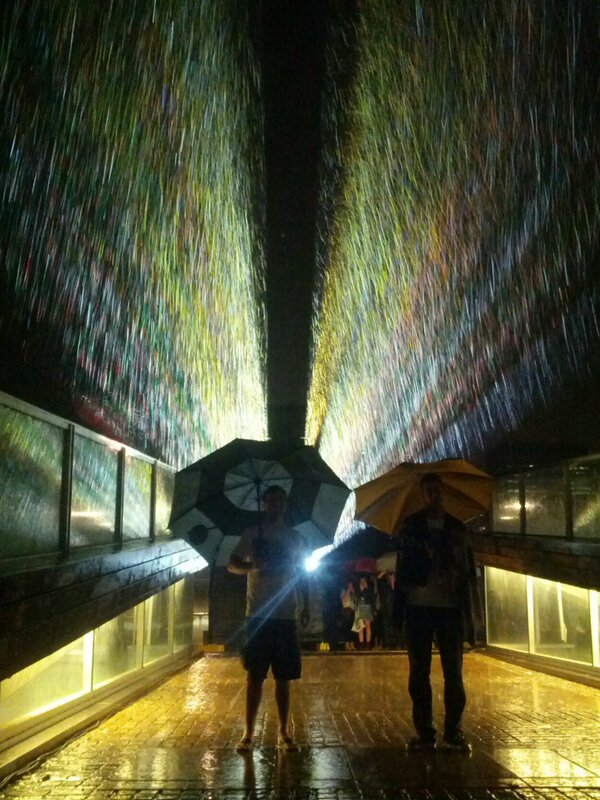 We visited the lights at St Marys cathedral and it started to rain so hard, we laughed a lot. 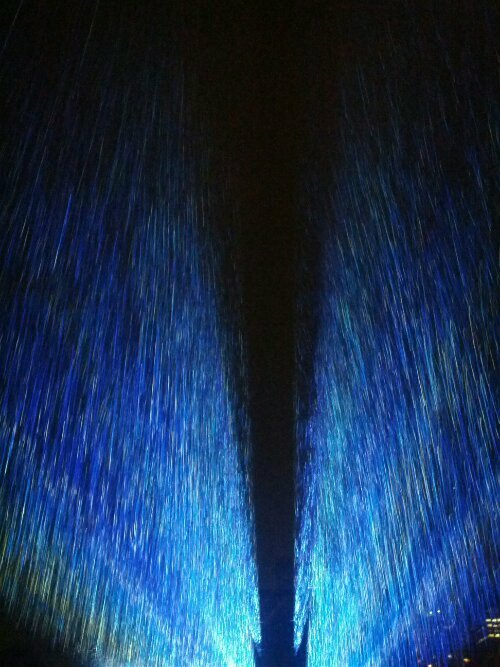 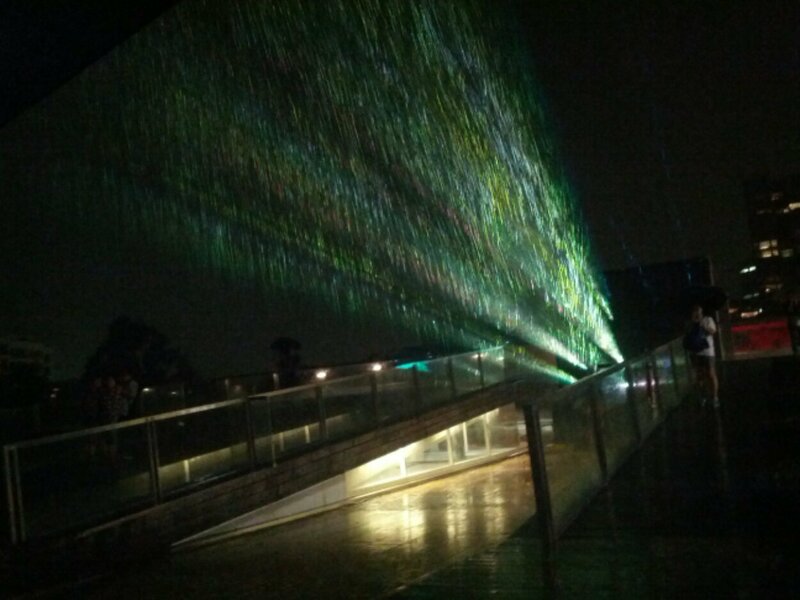 The lights looked spectacular through the rain. 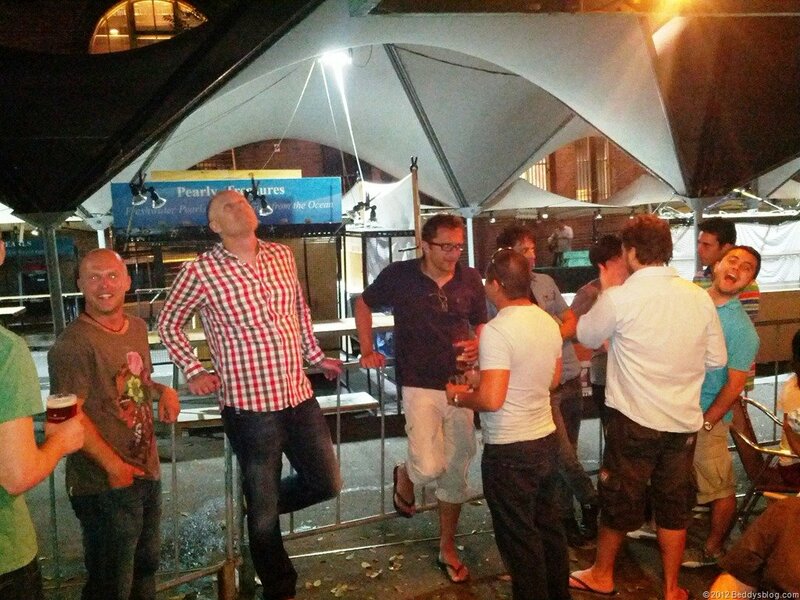 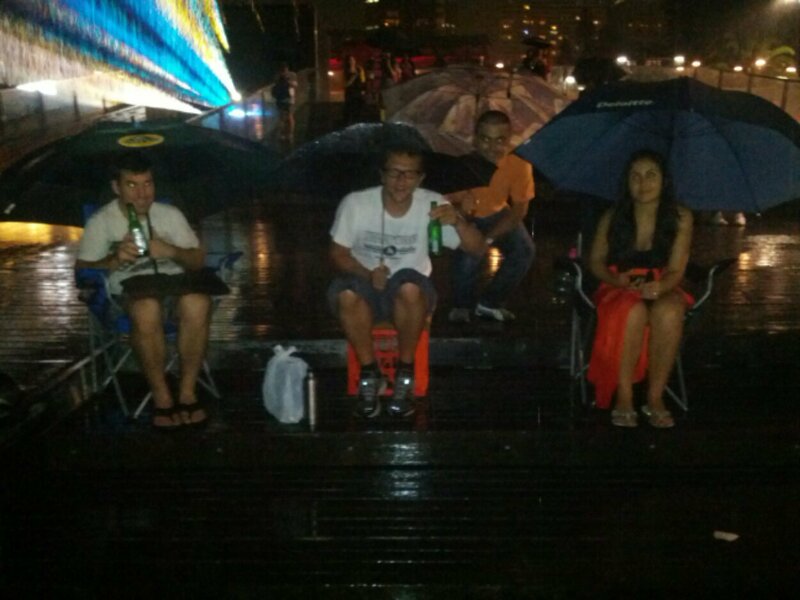 We are very very wet here, but we still have time for 1 beer in the rain. 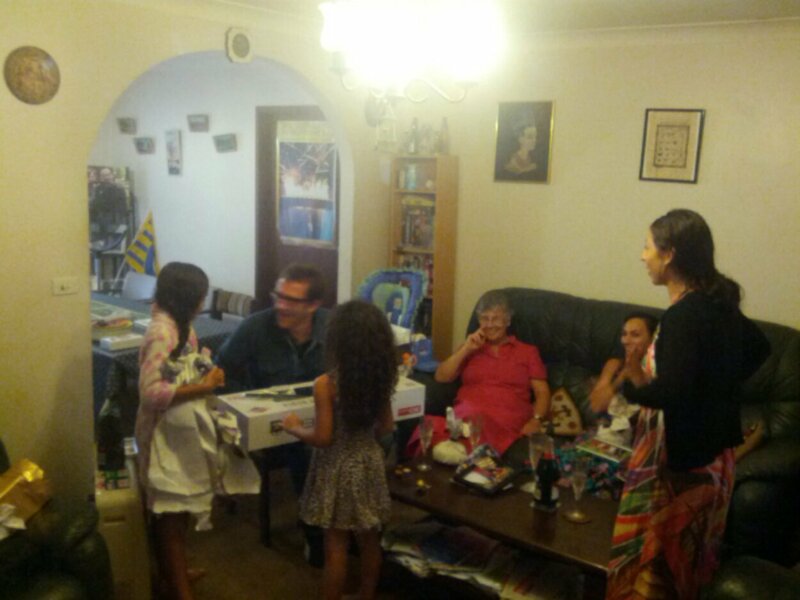 We had Christmas day in Wollongong with the Aussie half of the family. Here is Damien unwrapping his toy helicopter I bought him, he loved it. 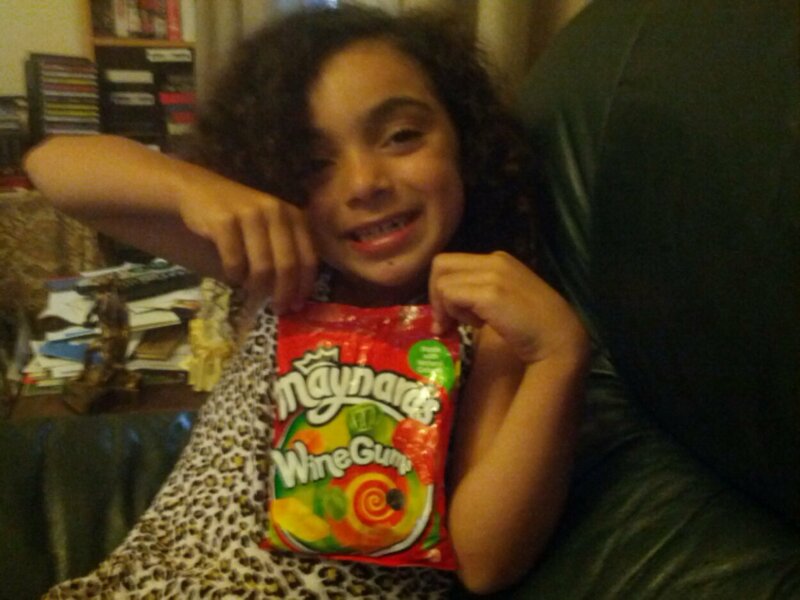 All the way from England, my favourite, Maynards wine gums. 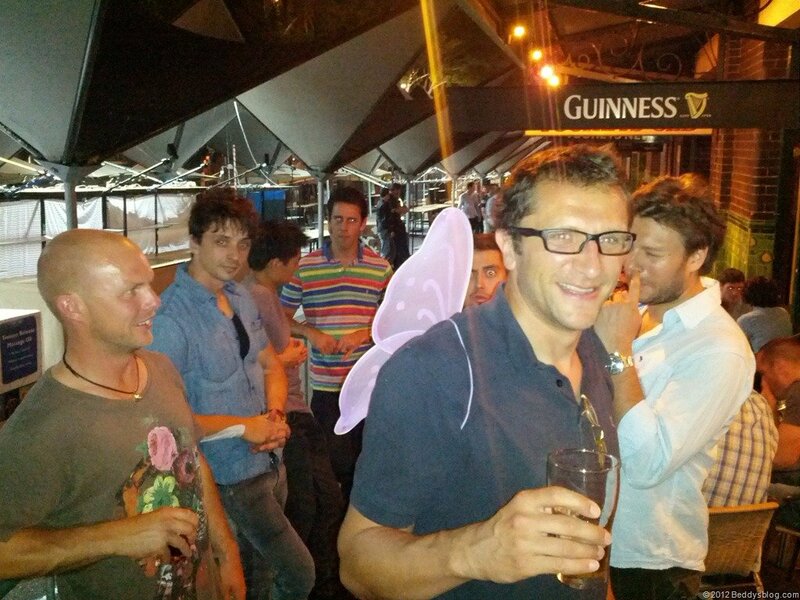 Damien’s helicopter ready for its maiden flight into the skies. 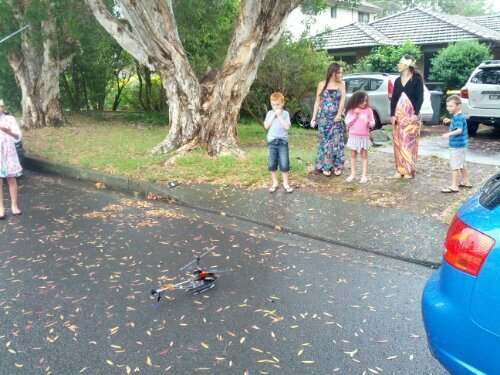 A video of Damien flying his helicopter I bought him into our car, silly boy Damien. 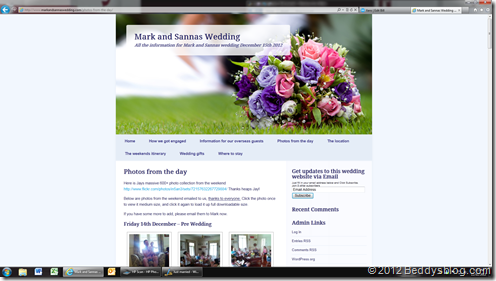 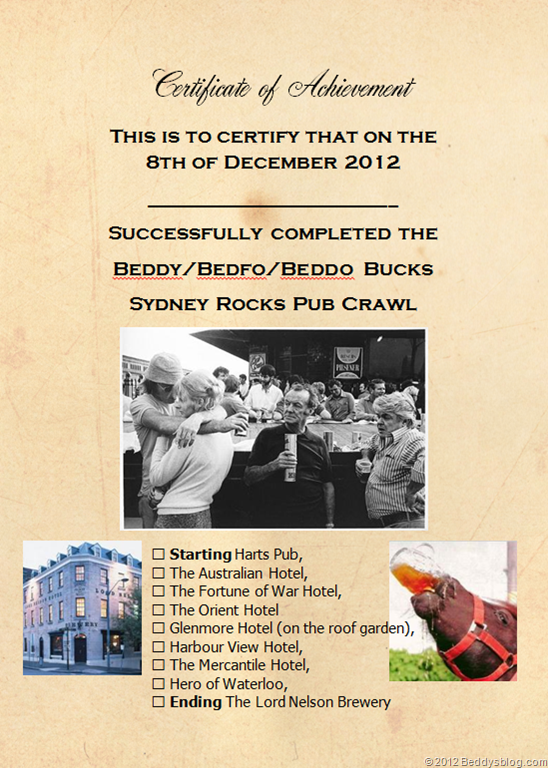 It was December the 8th and one week before my wedding and it was the day and the evening of my bucks! 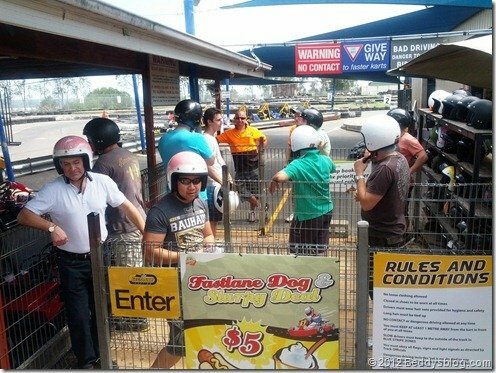 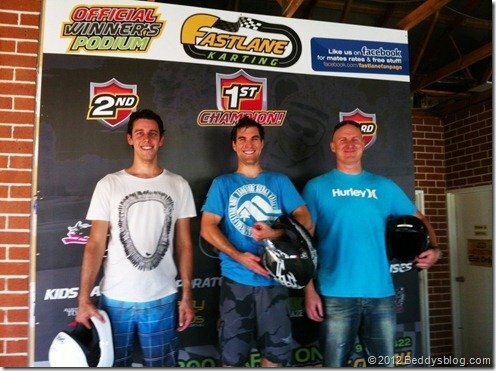 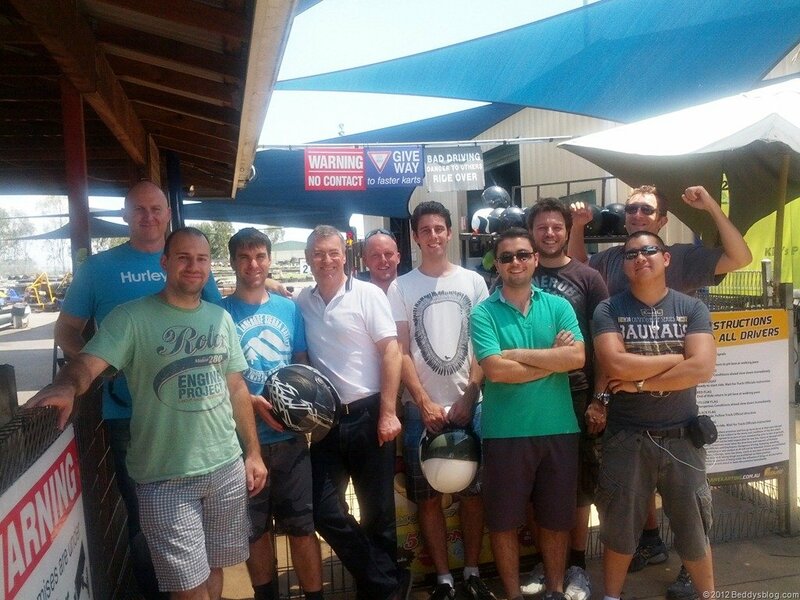 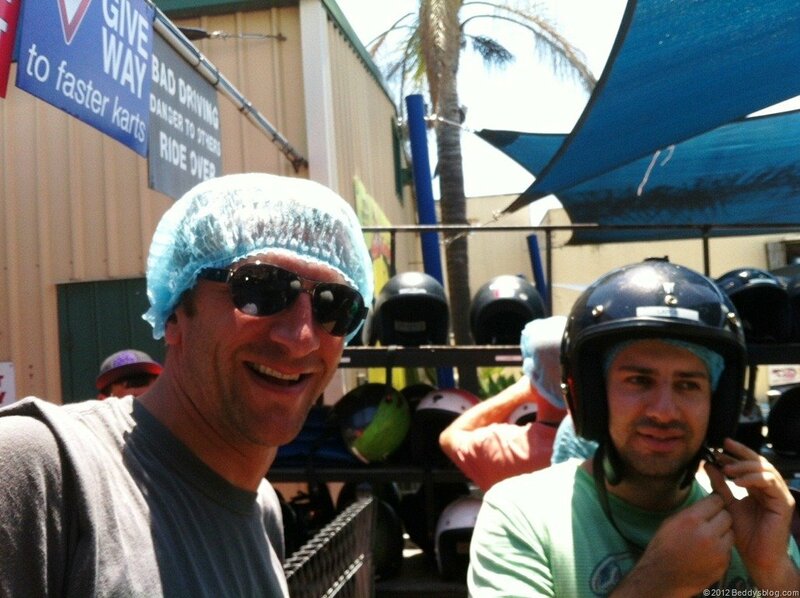 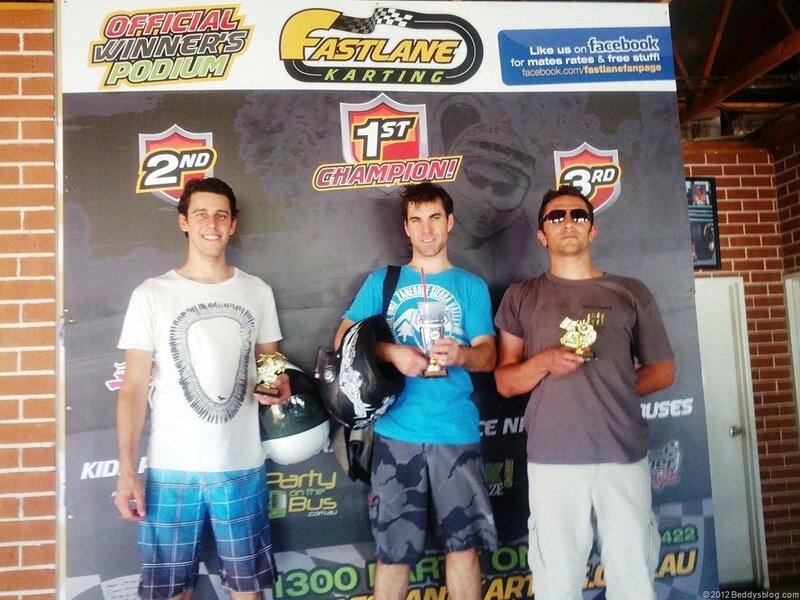 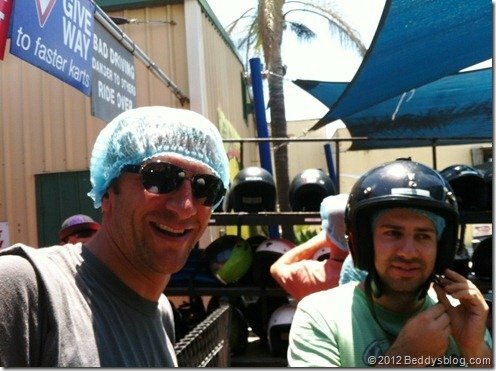 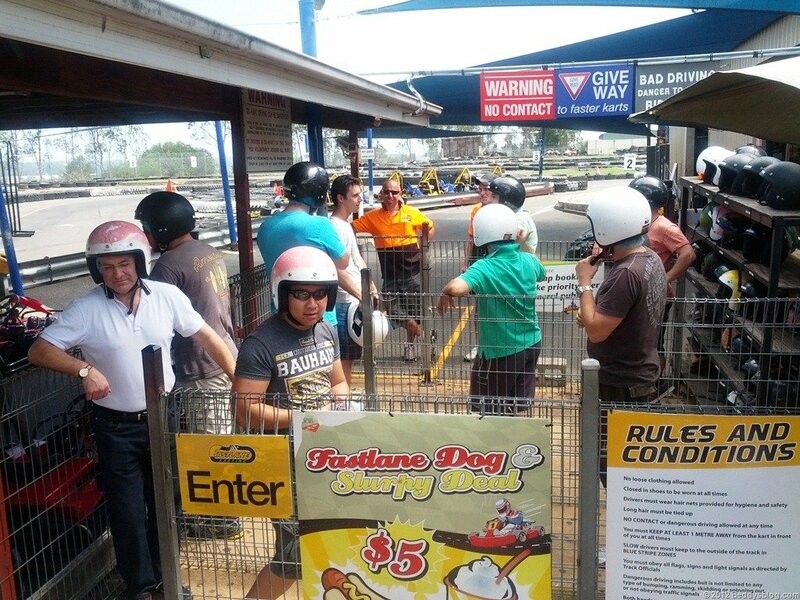 We went go karting doing a Grand Prix format of 4 races of 7 laps and 1 race of 12 laps at the end. 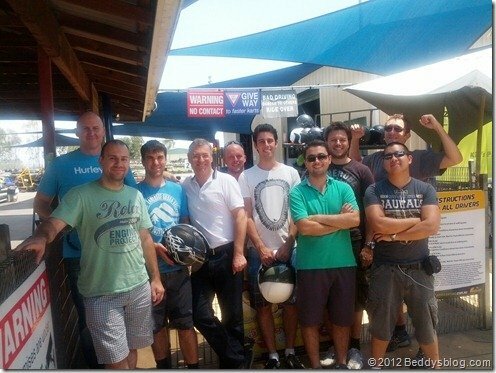 Racers were, Josh, Chris, Jay, Cameron, Ivan, Nick, Turk, Damien me and Dad. 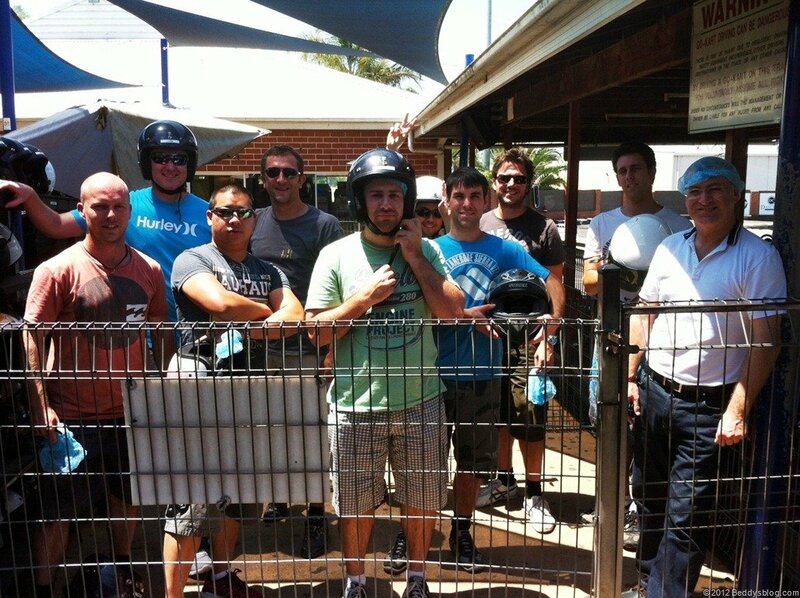 Here is everyone before the racing started. 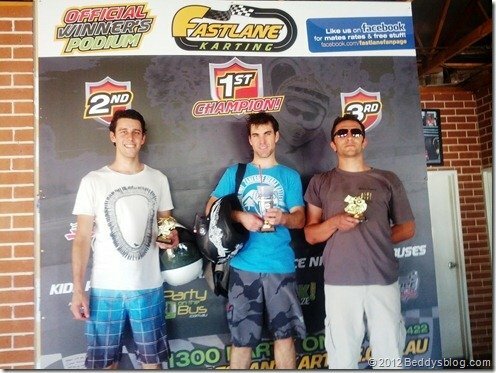 The overall winners, first place was me with 49 points, with Josh just 1 point behind. 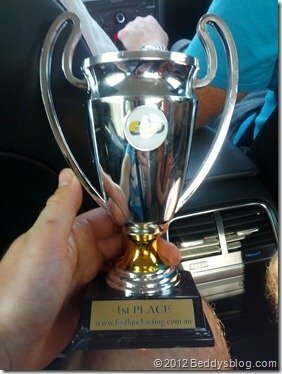 Cameron did extremely well coming overall 3rd and with his 110kg weight disadvantage, that was some skilful driving from him. 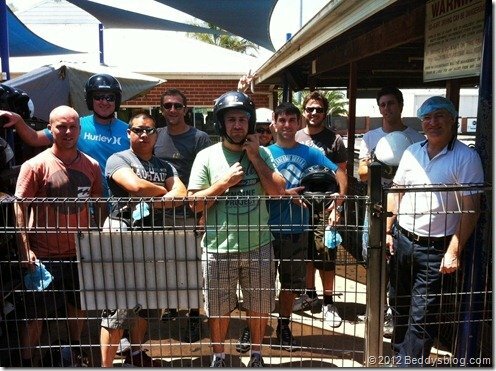 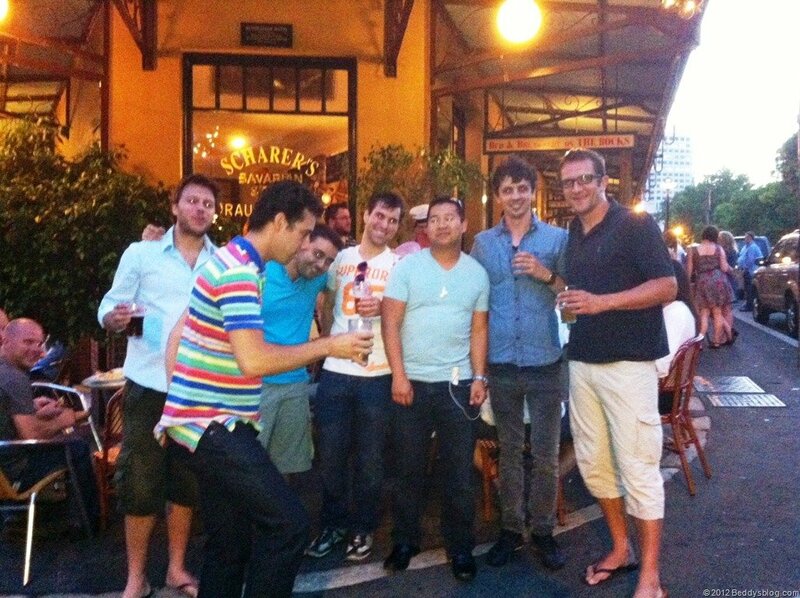 Next we moved onto the Rocks bucks pub crawl, those who came, Josh, Chris, Jay, Brendon, Cameron, Nick, Easton, Turk, Troy ‘The Ninja’, Damien and me and Dad. 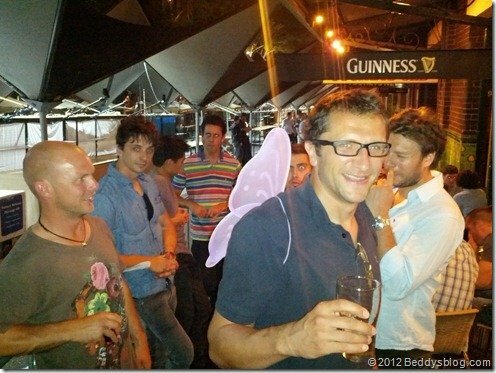 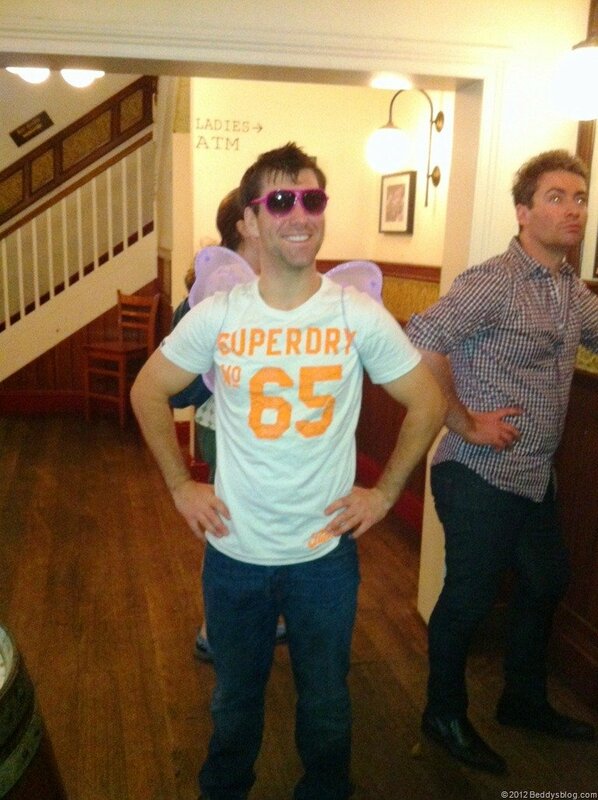 Bucks night out in Rocks for Marks Bucks pub crawl, Thanks for the Pink Angel wings to wear, I received lots of compliments. 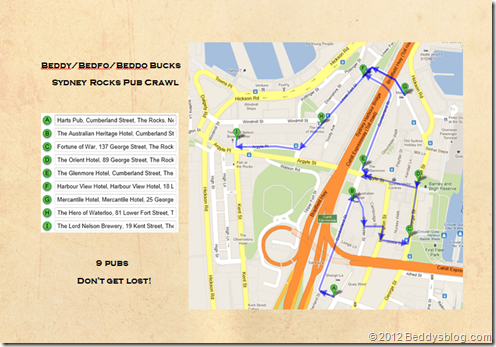 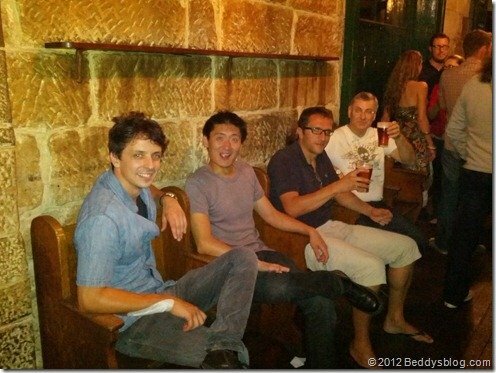 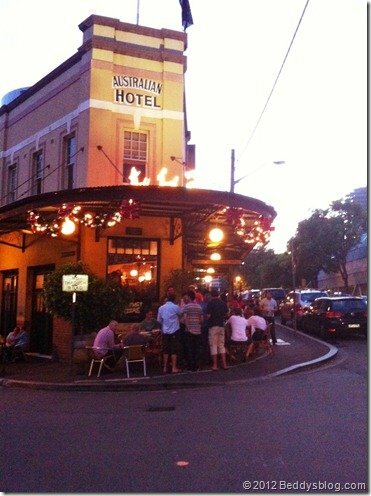 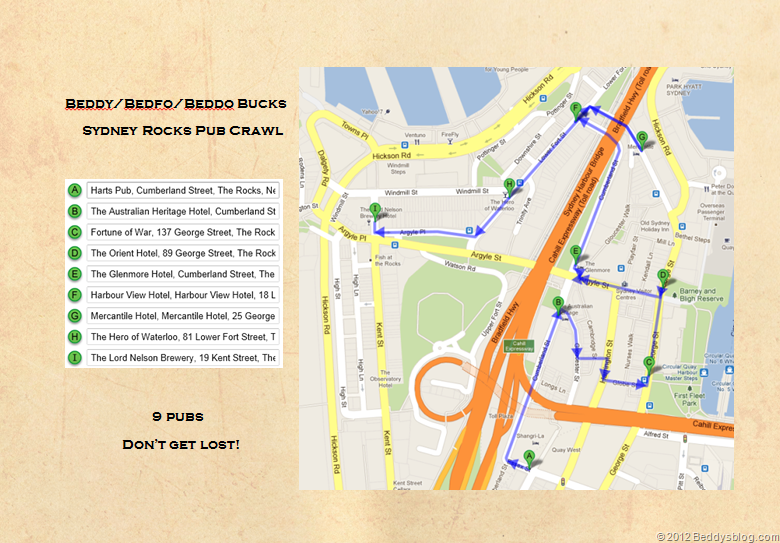 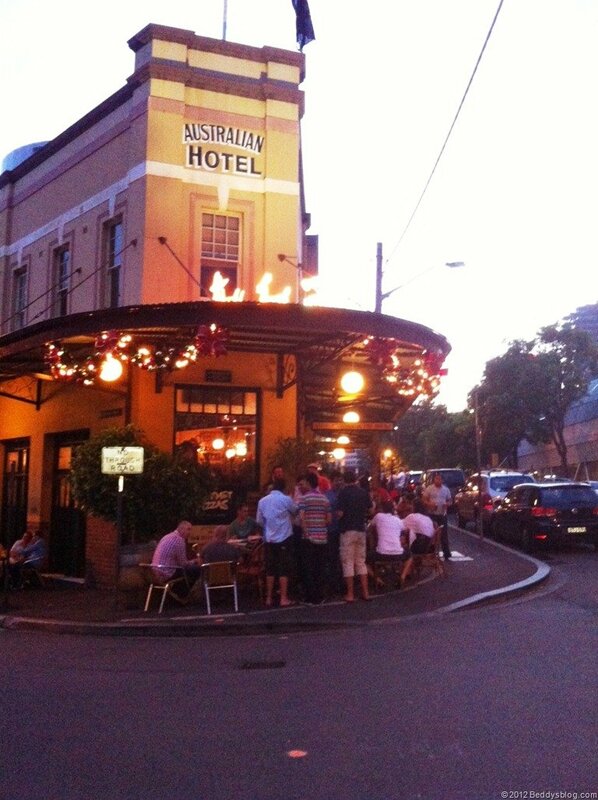 Our pub crawl route, we covered off the BEST pubs of the Rocks! 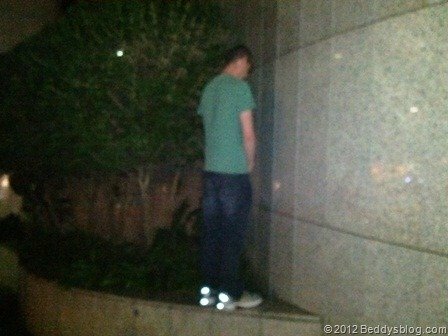 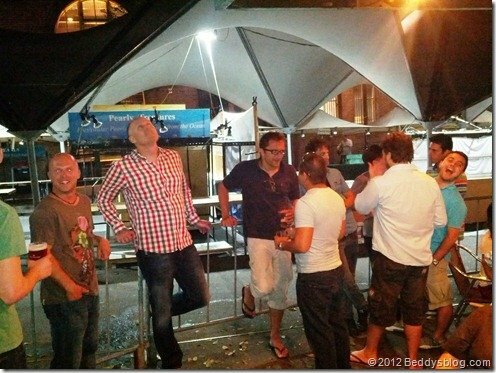 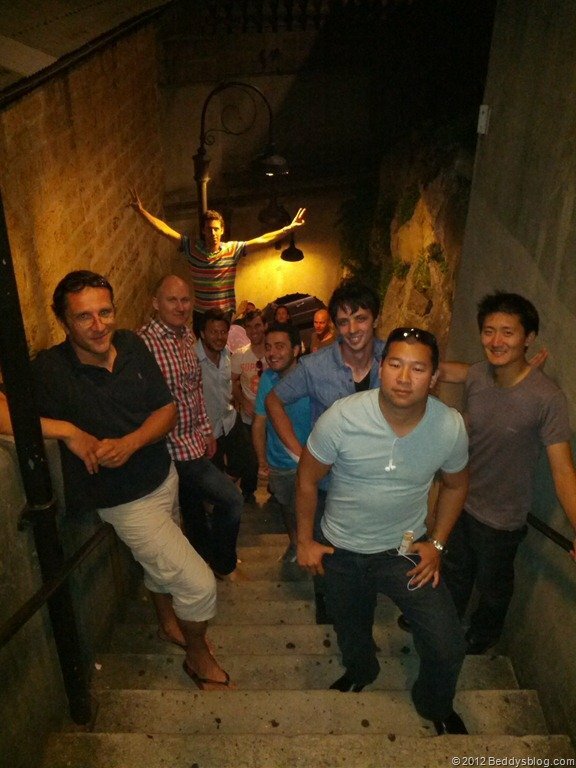 Best photo of the night, everyone from the crawl. 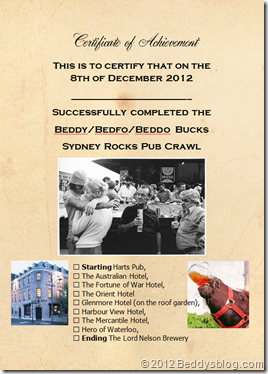 The 2nd to last pub, the Hero of Waterloo (old mans pub). 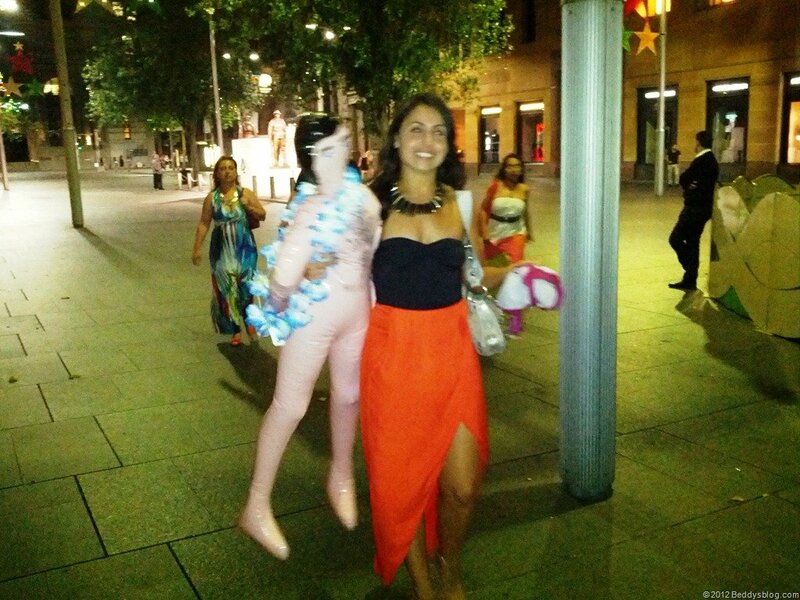 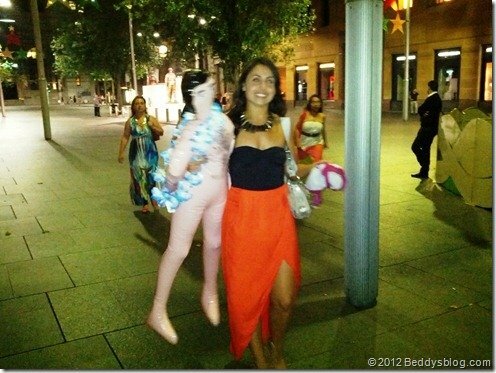 On the walk back home through the city we bumped into Sanna carrying her blow-up Mark doll around.